Last week saw a mass exodus of editors and writers at The New Republic, one of the most prominent cultural magazines in America, which just celebrated its 100th anniversary. His opposition of thinking and shopping is spot on, I think. The decisions of the market, both on the supply- and demand sides of the equation, involve everything but the consideration of what is true. The market succeeds not when consumers are fulfilled or wise but when they are convinced to purchase. If advertising tries to persuade the consumer that a certain product will fulfill him or her, or make him or her wise, it is only to achieve the end of transaction. The kinds of decisions a citizen must make are different than the kinds of decisions a consumer must make. As Wieseltier says elsewhere in his essay, “choosing a president is not like choosing khakis.” Publications like TNR have long been places for the kinds of intellectual discussions that sustain democracies by cultivating the pursuit of truth among its citizens; now, however, public journals of opinion (that is, not just written for academics but for the general curious mind) are slowly giving way to the new bait-click media, driven by and produced for consumers. As he argues, it is not a question of old versus new. It is a question of diametrically opposed views of the role of publications in creating healthy individuals and communities. 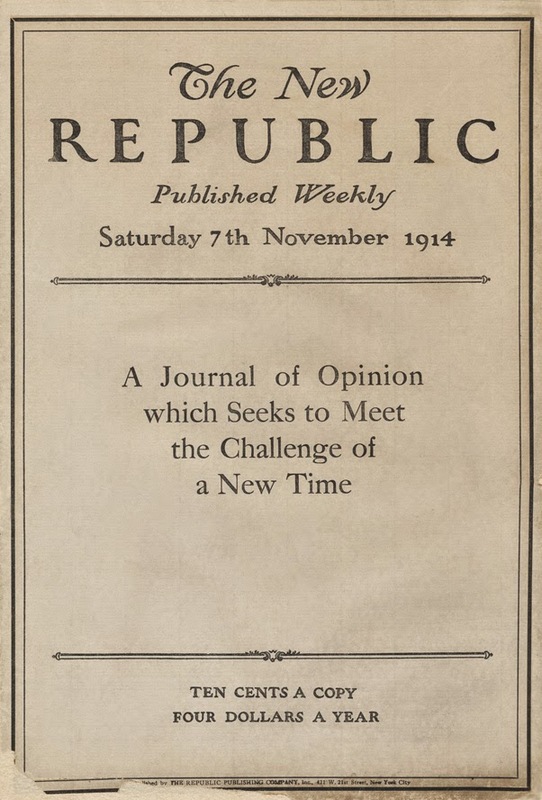 The demise of the New Republic is not an isolated event, but part of a larger, and in light of economic trends, perhaps inevitable, tailspin of quality journalism and commentary, as media outlets of all stripes and sizes struggle to stay afloat. More largely, as Douthat notes, it is part of a gradual retreat of the liberal arts from the public sphere. As Wieseltier put it, thinking is the opposite of shopping, and these two spheres are mutually exclusive. As our public and private lives become more dictated by shopping, by the rules that govern the relationship between producer and consumer, we find ourselves less encouraged to think well, and we find the liberal arts all but disappearing from public life. Which, of course, makes the role of the high school teacher all the more important. Given the widely chronicled demise of the liberal arts in universities, the burden falls primarily on teachers of Literature, Theology, History, and the fine- and performing arts to instruct students in the how these areas have shaped our societies and the ways we understand ourselves. Too bad publications, like TNR, whose writing provides nourishment for those of us tasked with instruction in the humanities, are getting harder and harder to find.